Is not really important for the picture, but the text says “fashion for you and your home”. 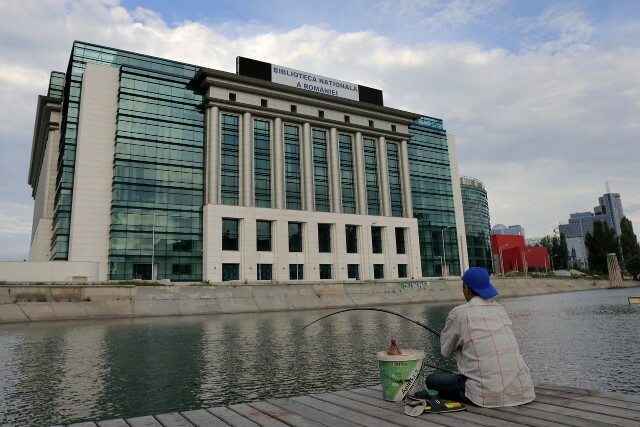 The building in front is the National Library in Bucharest. Repeat after me: this is not a karate chop.